Legend of Solgard‘s plot has a story as in the Nordic legends. Solgard is a beautiful land where there are gods and special creatures living together happily. But one day, the Ragnarok doomsday prophecy start happening. As the winter approaches, the ice gate opens brings with mysterious monsters, causing Solgard’s creatures to freeze permanently. Embla is the only one who can prevent this from happening, she is a female warrior with the power of The Sun Godness and a friend of the forest creatures. After witnessing everything, she assembled an army of animals of special strength, taking part in the war to save Solgard from the cold winter and bring glory back to the land. 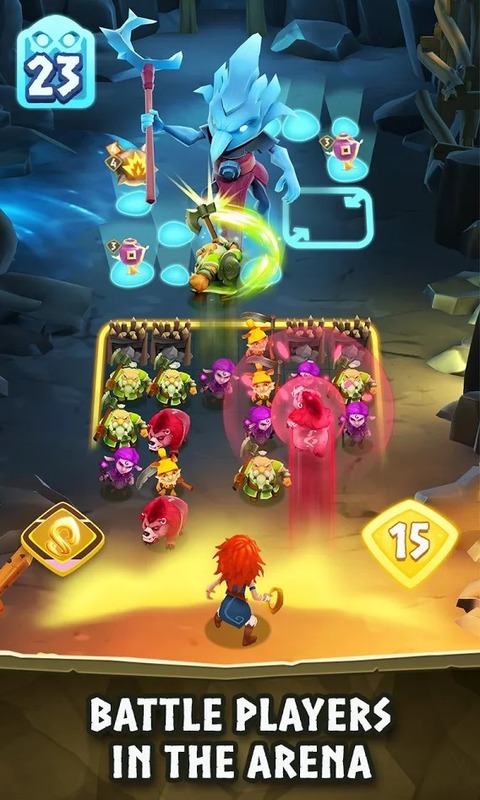 The gameplay of Legend of Solgard is simple. You and the enemy defend the opposite land, the central land will be the main arena. This is a turn-based game, meaning you will only attack when it’s your turn, this game allows you to move three times. The main objective of this game is to break the ice walls of enemies, but first, you must destroy the monsters guarding the ice wall in front. Meanwhile, do not forget to protect your squad against enemy attacks. If your HP is zero, the monsters will flood into your land and kill all, so you are not allowed to lose. Every battle, size and obstacle on the battlefield will change, which forces you to think and re-adjust your strategy reasonable. In order to attack an enemy, you must arrange the three creatures of the same color into a straight line and then they will attack and deal damage displayed on the screen. There are many ways for you to combine your creatures into something stronger, for example, when you arrange four creatures of the same color into a square, they will turn into a giant creature with tremendous power. In addition, some other shapes you can arrange like T-Shapes, L-Shapes, Plus Shapes, etc. Besides, the way you defended is the same, you have to arrange three creatures of the same color horizontally to create a barrier to block enemy damage, increase one defensive point. You should arrange not only one but many layers of defense as they can assist each other and absorb damage, healing the animals of your team. The special creatures in Legend of Solgard play an important role because without them Embla will not be able to fight alone against other winter monsters. Creature systems are very similar to the champion system in League of Legends, each creature has its own story and is organized by a variety of factors such as color, race, strength and rare. There are four colors those are Red, Yellow, Purple and Green and you can only choose one color at a time. Each creature has different roles in each game such as attack, defense, and support. Hobling, for instance, is capable of throwing an ax at an enemy, causing them to be stunned and dealing massive damage. Their skills and power depend on the races such as Warriors, Beasts, Folks, Spirits, Critters, Wyrms and Wights. One more thing that you need to consider is the rare, ie the same creature, but a rarer creature is more powerful and has more special skills. They are divided into four categories: Popular, Rare, Epic or Legendary. 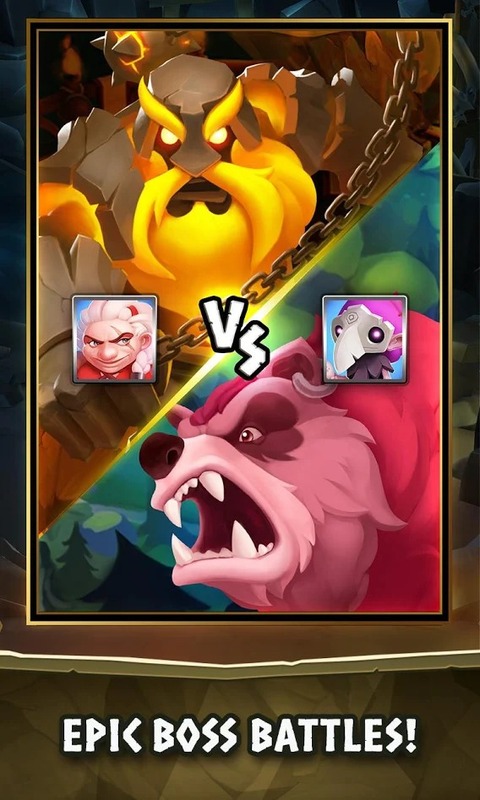 After completing the battles, your beast will gain experience points, and when you have enough experience points to level up, you can improve their stats. Each time you level up, you are only allowed to increase the stats for one of the following: Spell Power, Mana, Barrier Strength, Sun Burst. In addition, using the Sun Gems is also a great way to upgrade your creatures. Legend of Solgard MOD has cute graphics, many colors very similar to the previous games of King. I believe that the bright colors and the cute characters of the game will keep you entertained after your hard working days. 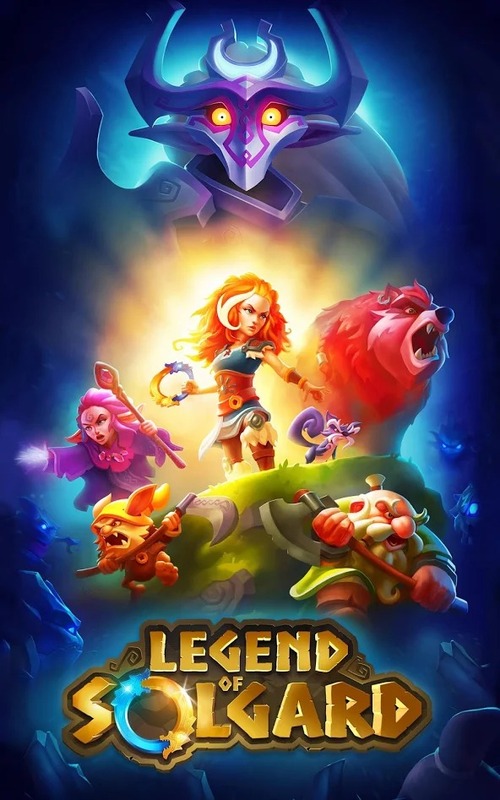 Legend of Solgard MOD APK is ready to download! 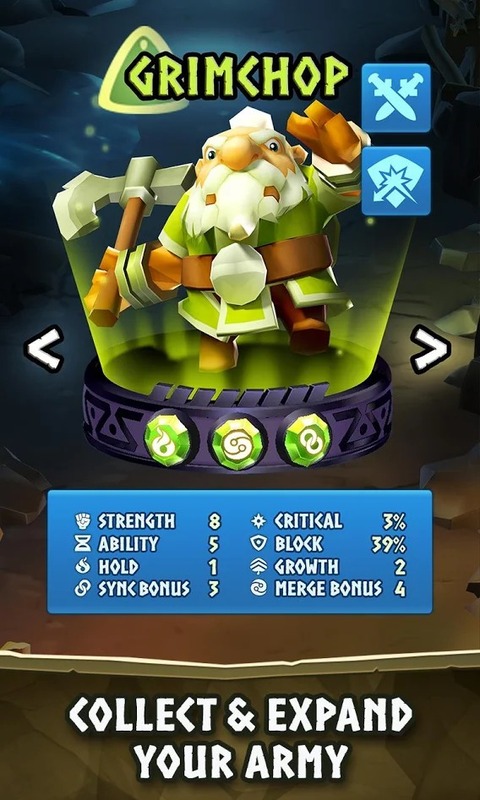 Depending on your needs, you can download Legend of Solgard MOD APK or Legend of Solgard Original APK. Or install from Google Play / App Store if you want.